Hello, it's Tina here again to share another card creation with you! Springtime has arrived at The Crafty Scrapper! 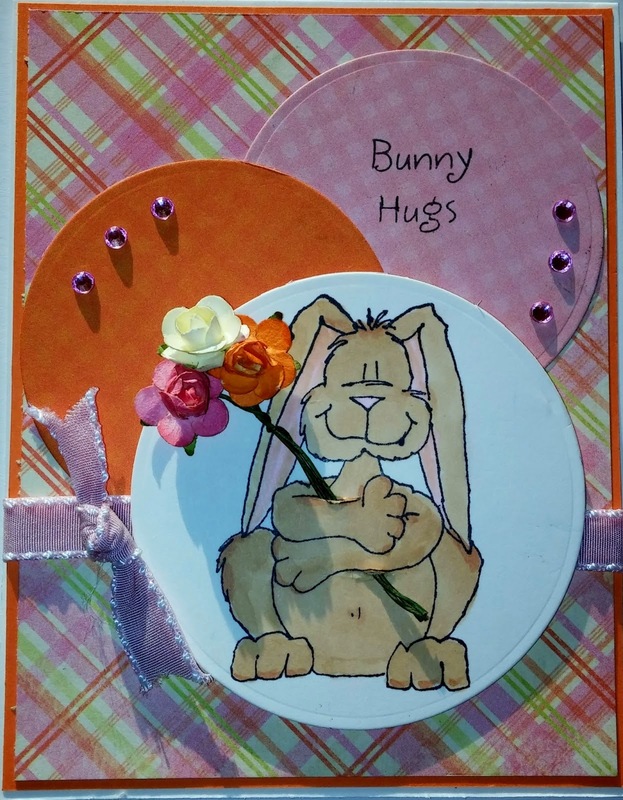 I combined beautiful papers from Authentique's spring line called the Promise Collection with an adorable bunny stamp from Inky Antics, added in flowers, ribbon and a nice sketch to create my card. All three flowers were cream until I colored two of them with my Copics! And, I used an exacto knife on the bunny's arms to slide the flower stems through. This is a super fun card that is perfect for spring but could also be sent year around. You can find all the supplies and see this card in person at The Crafty Scrapper. Love this stamp and card Tina!